Viewers who still have the final season of Boardwalk Empire sitting on their TiVo to-watch list were fuming Sunday night after the Emmy awards aired a montage that spoiled the finales of several popular shows. 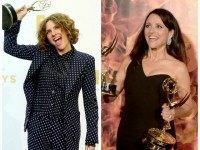 Transgender and political-themed TV shows were well-represented in the comedy awards category during Sunday’s 67th Primetime Emmy awards. 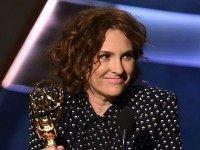 Transparent creator Jill Soloway won her first Emmy Sunday night in the Best Directing – Comedy Series category for her transgender-themed hit Amazon dramedy. 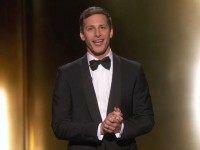 During his opening monologue at the 2015 Emmy Awards Sunday on FOX, host Andy Samberg suggested Republican frontrunner Donald Trump might be racist. Selfie sticks have been banned from all of the main events at this year’s Emmy Awards — from the pre-show red carpet to the actual ceremony to the after-party Ball.